“Tetl’s skin is brown, his eyes are black, and his hair is long. He’s different from the other children, whose taunts wound him deeply, leaving him confused and afraid. But Tetl’s grandmother knows the ancient teachings of their Aztec ancestors, and how they viewed the earth as alive with sacred meaning. With her help, he learns to listen to the mountains, wind, corn, and stones. Tetl’s journey from self-doubt to proud acceptance of his Nahuatl heritage is told in a series of powerful poems, beautifully expressed in both English and Spanish” (Goodreads). In last week’s En la Clase, we discussed the importance of authentic cultural referents in children’s literature. Argueta’s book demonstrates why this is so powerful. Too often when we discuss native cultures and Indigenous peoples in our classrooms, it’s done in the past tense, as if they no longer exist. 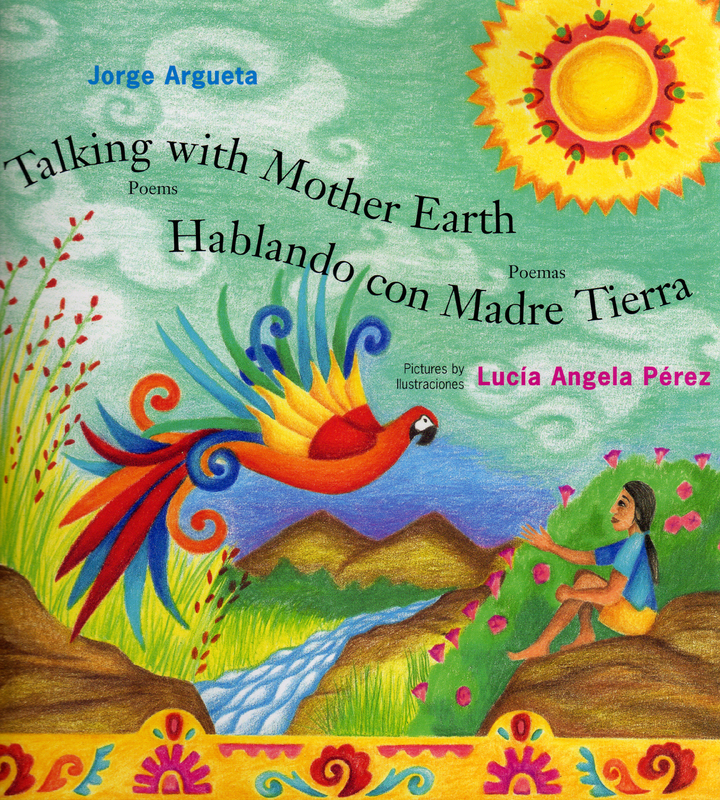 In Talking with Mother Earth/Hablando con Madre Tierra readers learn about the childhood of Jorge Tetl Argueta who identifies as Pipil Nahua. Argueta writes his poems in first person present tense. While this may seem an insignificant choice, it’s not. The explicit and implicit messages sent through the language in our children’s books are powerful. The use of third person, past tense, or passive language can perpetuate ideas such as Indigenous peoples no longer exist, they have no agency, or they are to blame for the violence that is/was enacted upon them. 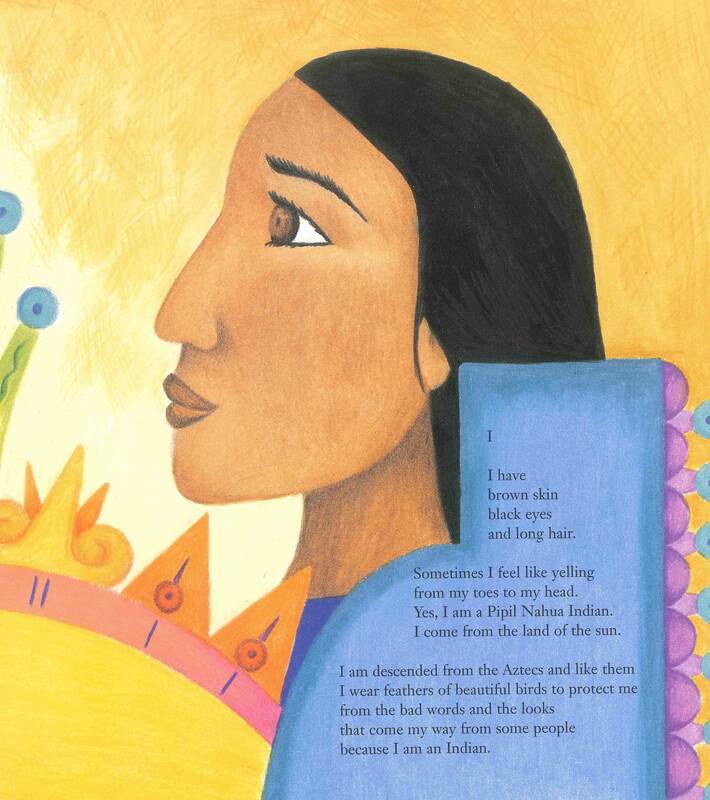 For more on this conversation, see Jean Paine Mendoza’s article “Goodbye, Columbus: Take Two” from A Broken Flute: The Native Experience in Books for Children. 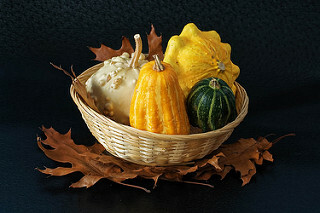 October is often the month in which students learn about Columbus, exploration, conquest and colonization. It’s important to model for our students how to critique the oppressive messages conveyed in both the fiction and non-fiction literature they read on these topics, and to provide them examples of empowering narratives such as Argueta’s. and laugh at my bare feet. wrote on the blackboard, they would hit my back. But, when we continue to live in a society that claims to be color-blind or post-racial, there is something powerful about naming this racism and the stereotypes being perpetuated. Tetl’s words reveal a vulnerability that provides the space to discuss bullying and racism in a very open way. This type of bullying continues to happen in classrooms and playgrounds across the nation. While it’s certainly a complex problem, it’s not going to get any better until we’re willing to have the sometimes hard and uncomfortable conversations about racism in our classrooms. Argueta’s book provides one way in which to do that. We talk frequently about literature providing mirrors, windows, and doors. Here, students who have been bullied are provided a protagonist who speaks both to the experience and how he chose to overcome it. We can also hope that those who have acted as bullies will begin to reflect on the causes and consequences of their behavior. In Dr. Laura Harjo’s introduction to the LAII’s recent screening of the film Tambien la Lluvia, she talked about how one of the effects of conquest, colonization, and colonialism can be seen through the deadening of land as it became property that could be owned. Argueta’s poetry together with Lucía Ángela Pérez’s beautiful illustrations offer a much different view of land. Here, Mother Earth is something both alive and powerful. Exposed to a powerful counter narrative through the introduction to Nahua beliefs and spirituality, readers will hopefully develop a greater appreciation for Earth and the many facets of nature that we often take for granted, such as the wind, sun, water, or plants. There’s a lot you could do with the book beyond a read aloud. These ideas are just a start. It’s certainly an excellent mentor text for poetry writing. Argueta discusses his own childhood experiences with both openness and vulnerability. Using this as a model, ask students to think about a hurtful experience they’ve had. Perhaps they’ve been bullied, or they have bullied another student. This could become the inspiration for their own poem. It’s also an excellent text to use to teach nature poetry. Ask students to think about the ways in which we take different elements of nature for granted. 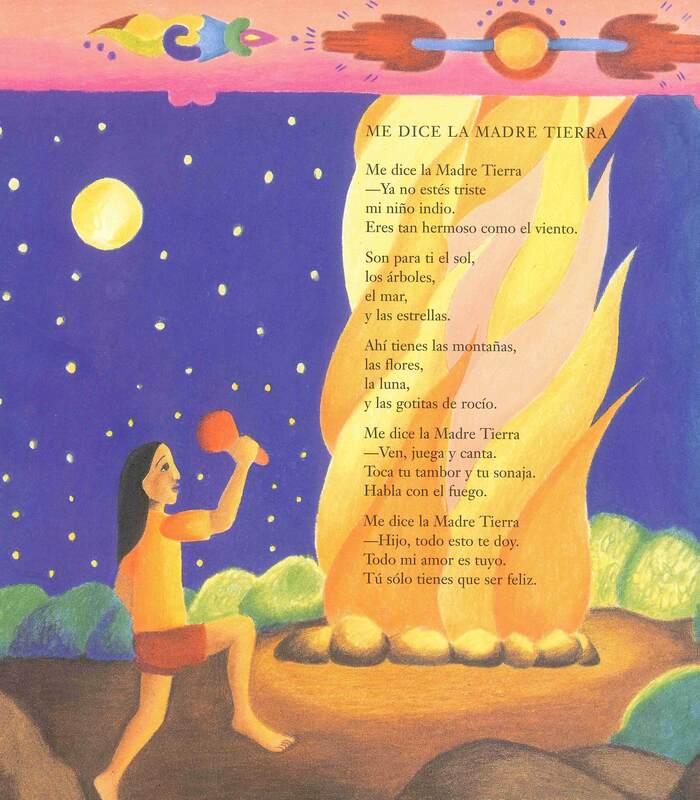 Then, choosing one of these elements, each student can write their own poem as Argueta did. If time permits, have students illustrate their poems. Then, create a class book of the poetry for display. We’re not alone in thinking this is a wonderful book. It has received both the International Latino Book Award and Américas Book Award. As always, I’d love to hear what your students think about the book! 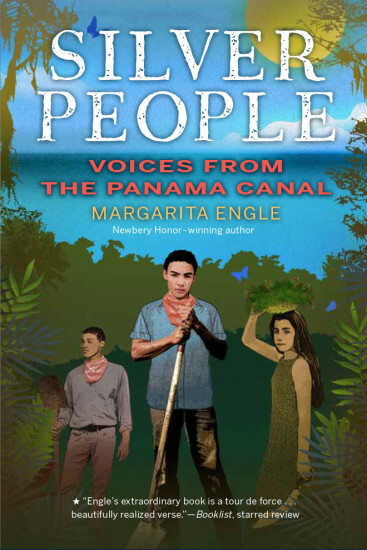 Here’s our review of this month’s featured novel, Silver People: Voices from the Panama Canal. I’m really looking forward to discussing it with our book group next Monday. If you’re an Albuquerque local, we’d love to have you join us! Without fail, one of the most striking aspects of Engle’s work is her commitment to bringing little or unknown historical figures and periods to life. Since Engle often writes about Cuba, I was surprised when I heard she had written a book about the Panama Canal. But as I learned more about the story, the choice in topic made perfect sense. Admittedly, I knew very little about the history of the Panama Canal. Unfortunately, I don’t think I’m alone in that. On Vamos a Leer we frequently reference the idea of the ‘rewriting’ of history. Having now read Silver People, I believe the minimal attention given to the creation of the Panama Canal in our k-12 curricula is an example of one such rewriting. During the fall students across the U.S. often learn about exploration, conquest, and colonization. They study explorers such as Columbus, de Gama, Cortes, and Lewis and Clark — who are all portrayed as courageous heroes. We’ve talked a great deal on Vamos a Leer about ways in which to provide a more balanced account and understanding of Conquest and Colonization. As I read Engle’s Silver People I realized how relevant her book is to that same conversation. The conquest and colonization of the Americas didn’t stop 500 years ago. It’s been a continual and ongoing process, and Silver People calls attention to this. The construction of the Panama Canal represents some of the most problematic and troublesome aspects of U.S. foreign policy. More than likely, this is one reason why it’s so often glossed over in our textbooks. This is exactly why a book like Silver People is so important and necessary. Engle brings to life the flora, fauna, and people of a historical period many would prefer not to delve into too deeply. Often, if the Panama Canal is mentioned in textbooks at all, it’s in reference to what a miraculous accomplishment it was. It’s heralded as a pivotal point in the transformation of trade and travel between the U.S. and Latin America. Yet we fail to question what it cost to create such a feat. Engle’s novel offers an answer to this question. Told from multiple points of view, Silver People recounts the story of the building of the Panama Canal. Engle gives voice to Jamaican and Cuban laborers, overseers, Panamanians, American politicians, and the animals, insects, and plants of the Canal zone. Everyone and everything’s experience is considered. Through the use of both fictional and historical characters, the book provides an excellent example of the ways in which primary source documents and historical and scientific research can be used in creative writing. In Dr. Laura Harjo’s introduction to the LAII’s recent screening of the film Tambien la Lluvia, she talked about how the effects of colonialism can be seen through the commodification of human beings (such as through the use of slave labor and slave wages) and the deadening of land as it became property that could be owned. I can’t help but connect these ideas to Silver People. Through the voices of the laborers, overseers, engineers, and politicians, Engle brings to light the racism and White privilege that drove the construction of the Panama Canal. Consider the following told from Theodore Roosevelt’s perspective: “All around me, workers with shovels/ are making the mud fly, the white/ Americans supervising while black/ islanders dig, on hillsides/ so steep/ and unstable/ that it would be a real/ waste to risk wrecking valuable machines” (p. 96). The value of one’s life was determined by a racial hierarchy that sounds very similar to sociologist Eduardo Bonilla-Silva’s contemporary work on the tri-racial system. The darker one’s skin, the more expendable his or her life was. The Canal laborers were further commodified as they became a tourist attraction: “Towering trees are chopped down/ to build more and more railroad tracks,/ and more gold houses, silver barracks,/ and fancy hotels, so that tourists/ can stare down in elegant safety/ from the high, sturdy rim/ of our danger” (p. 111). In the Author’s Note, Engle discusses the similarities between Canal Zone Apartheid and Jim Crow Laws. This is an important connection, as it not only contextualizes the Panama Canal through a (hopefully) more well-known US historical period, but also points to the way in which the US exports its racism. One of the more unique pieces of Engle’s book is the very vivid way in which she shows the living nature of the land of Panama. I know my students would have really enjoyed reading from the point of view of the howler monkeys, the three-toed sloth, or the trees. The nature-based voices show the ecological devastation of the Canal’s construction. The wilderness areas of the country survived, but, as Engle shows, they suffered great harm in the process. The hope is that when we use books like Silver People, where multiple points of view and perspectives are considered and given voice, we are creating opportunities for our students and readers to both reflect and develop empathetic responses as they increase their understanding of the complexities of our history. I’m also hopeful that the experience of reading books like Silver People helps our students to see the truth in statements like that of Augusto, who writes: “No one cares because no one knows. If our history is ever to be told, we must tell it ourselves. Like howlers in the forest, we must lift our voices about the noise of thunder and dynamite. Dear friends, amigos queridos, write your memories; help me howl our wild truth” (p. 250). If you’ve had the chance to read Silver People, I’d love to hear your thoughts. Just leave a comment below. If you’re an educator, our Educator’s Guide Page has resources for using the book in the classroom. We also have Educator’s Guides available for each of Engle’s books that we’ve featured as part of our book group. The links below will take you to the classroom resources.